It turns out that my wife loves watching me play creepy action games. I’m a little at a loss to determine the actual genre she enjoys watching: it’s not survival horror. She *hated* Dead Space. It could be “action games” but Brink certainly bored her after a while. She watched, enraptured, as I played through Alan Wake and all of it’s downloadable content, and she actually requested that I play Batman: Arkham Asylum. And, despite not being a gamer in the slightest, she has watched the development of Arkham City basically since it was announced. So, despite this not having anything to do with Warhammer, StarCraft, or RTS gaming, you’ll have to listen to me talk about the goddamn Batman (Meme Source). Arkham Asylum was one of the best superhero games I have ever played. It was creepy without going Silent Hill (which I actually would have liked, for the record), and it had unique takes on Batman and his environs and villains that I found refreshing. Arkham City took what was a winning formula and expanded on it. The “Arkham City” compound is a much larger and more dynamic environment than the old Arkham Asylum was. This is a little overwhelming at first, as you are quickly pushed from one end of it to the other on a series of quests (more on this in a little bit). You soon get used to it, and by the end of the game I was actually wondering why they didn’t make the place a little larger. I’ll make a quick interjection here to talk about the background of the game. Without hopefully giving too much of the plot of either game away, Arkham City is a walled off section of Gotham that has been set up as sort of a criminal preservation. It’s been built apparently on an island, or a peninsula, and it’s surrounded by concrete walls. Helicopters patrol the area, with orders to kill inmates who even stray too close to the walls. The compound is built on something called Wonder City, which was apparently an analog to the Chicago World’s Fair of 1983. The crown jewel of this compound is something called Wonder Tower, which is a combination of the Seattle Space Needle, and fort knox. It’s in a sort of keep within the main Arkham City complex and serves as the guards’ compound and base of operations. Professor Hugo Strange, a Batman villain with whom I’m not overly familiar but who has apparently been around longer than Catwoman or the Joker (according to Wikipedia, yes I’ll admit to reading it. Profusely). Anyways, he’s set up this compound, and dumped every criminal in Gotham (and a few of his political enemies) inside. The game opens with Batman, as Bruce Wayne, is attempting to protest against this obviously terrible idea. He’s captured, it’s revealed that Strange knows about Bruce being Batman, and then you’re dumped into the thick of things. Trust me, the pics don't do him justice. He's awesome. So you can see, they basically throw the book at you. They also include Robin and Oracle for good measure (though I guess Oracle was in the last one too). My wife loved this. I was a little skeptical. I mean, what next? A Superman guest appearance? The Green Lantern Corps showing up to help? Luckily, none of that happened but still. I mean, it’s just a little excessive. Maybe I’m just thinking of the movies, where you get 2, maybe 3 villains to content with. That seems manageable. But all these baddies crammed into what amounts to a couple city blocks… well, it keeps you busy. There’s also a lot of flavor going on, too. The Penguin, Two Face and the Joker all have their territories, and henchman. There’s also Strange’s TYGER guards (never told why they’re called this) and Gordon’s police dudes running around. There’s random acts of violence to stop, Zasz doing a shtick where he calls random phones around the compound and killing people if you can’t get to another phone in time (it’s like a race across the city: you pick up the phone, and have to get to another one before the time runs out or he kills someone), Riddler is up to his tricks again too: the city is literally riddled (pun intended! ha freaking ha) with his question marks, all of which point to a minigame that can earn you (you guessed it) a question mark trophy. They also have side-quests. Yes, side-quests. Turning this into even more of an RPG than the last one, Batman can elect to go on optional side missions (often when he is supposedly rushing to save someone). There are quite a few of these: I skipped them because most of them seemed a little too challenging for the reward. I may go back and later and re-play the campaign and do some of these. I almost forgot! You play as Catwoman. There are 4 missions which tell a tangent of the story from our favorite female cat burglar’s perspective. She plays much different than Batman, in the ways you’d expect: she’s more nimble, for one thing. Much faster. She also is much more fragile, which makes fights a little more challenging. Her special items pretty much all involve tripping or knocking people over So, there’s a lot of value added by putting her in as a playable character. Purchasing the game from Best Buy apparently opens up a Robin mode, but I haven’t puzzled out how to access this as of yet. 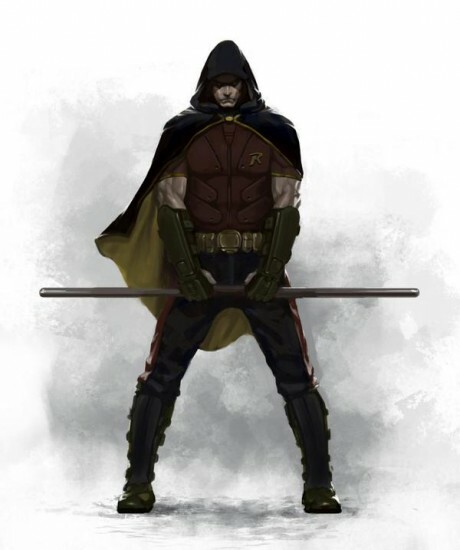 Also, Robin is pretty cool in this game. He looks kind of like a Jedi, which I can get down with. So yeah, a lot to keep you busy. 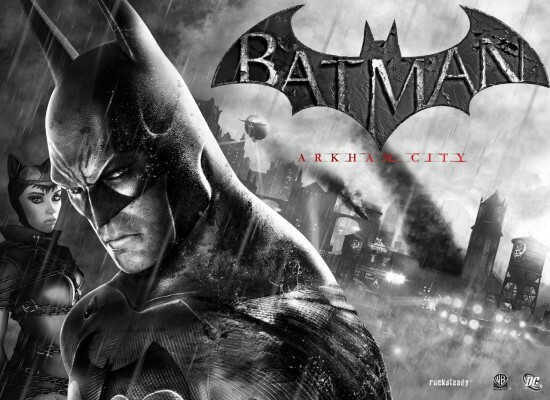 To wrap this up: It’s a very well crafted game, crammed full of Batman and his enemies. It’s paced well, and expands greatly on the concept of the last one. If you like Batman, get it. If you liked the first game, get it. If you liked Alan Wake, get this game. Actually, it’s pretty much great to get no matter what camp you fall into. Prev Why the Heck Isn’t Dawn of War 2 an eSport?